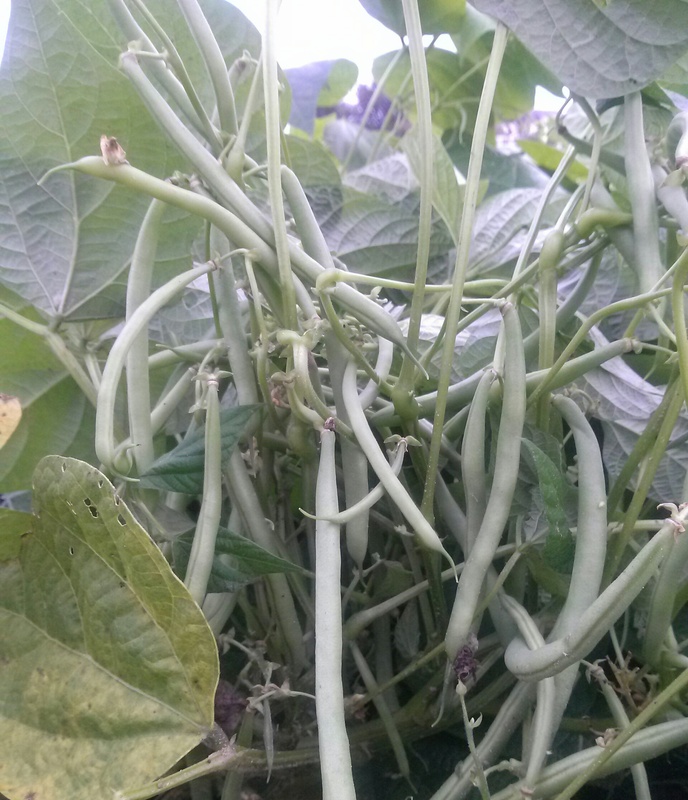 The cool, rainy November weather helped produce the largest (both volume and physical size) green bean harvest we’ve grown so far. Despite the large size, all of these beans were very tender. 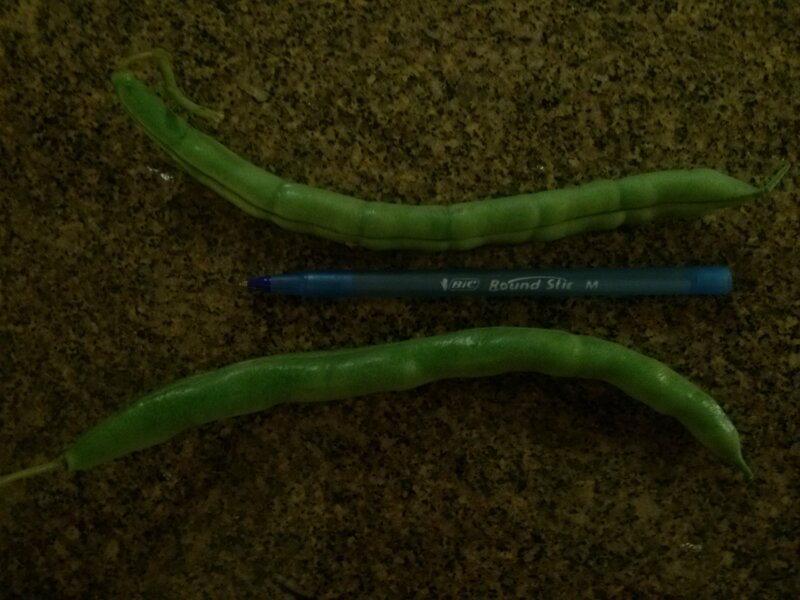 The top picture (green beans growing) was taken on November 6, and the bottom picture (extra large green beans are shown relative to the size of a blue writing pen) was from the last picked beans (November 27) before the freeze.